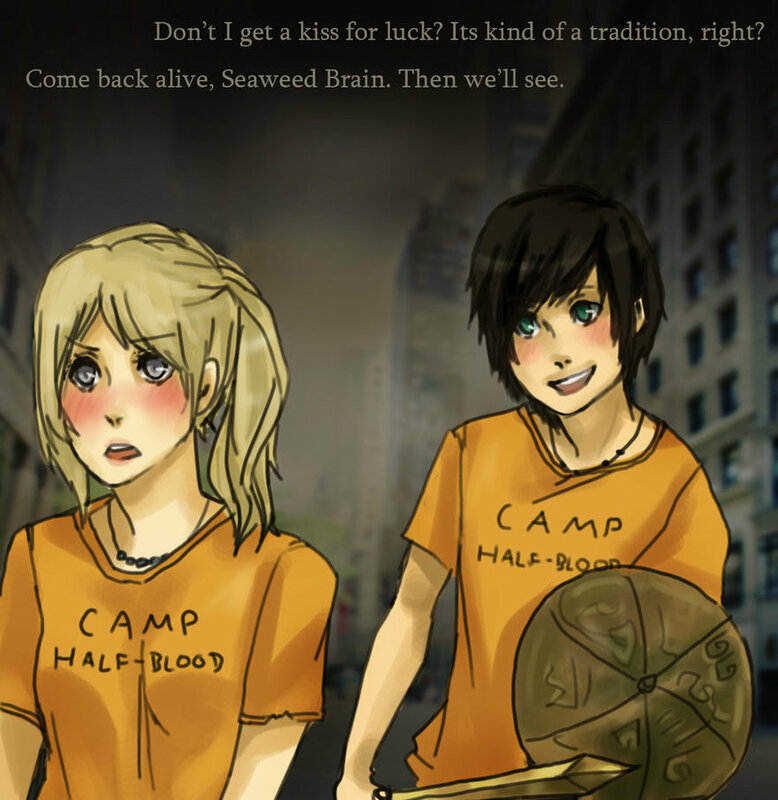 Good Luck Kiss. . HD Wallpaper and background images in the Percy Jackson & The Olympians boeken club tagged: percabeth. I think percy looks adorable.